The BBC boarding house has had a number of projcts that have required upgrading. Over time some of the boarding house space due to greater space pressures converted to classrooms. Our 2011 master plan identified that this space must be given back to the boarders in order to create a sense of ownership and to recognise their thresholds. One of the first projects to be rolled out is one that will reinforce their community. Previously classrooms, this space which adjoins their ‘yard’ and kitchen/dining, is being transformed into a boarders lounge. 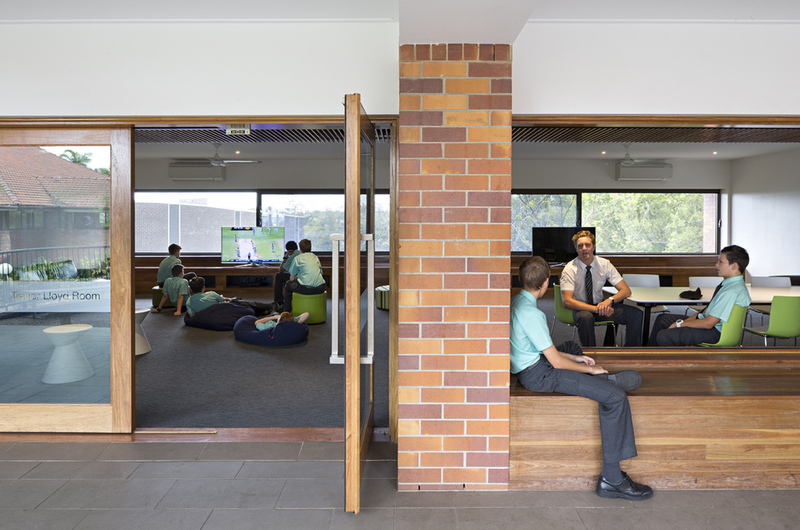 Visibility into the space has been improved and a range of flexible seating formats developed.